We are a Jewish-Austrian volunteer group. From our grandparents and parents we have learned that showing humanity, love and kindness to people in need is the most precious gift. 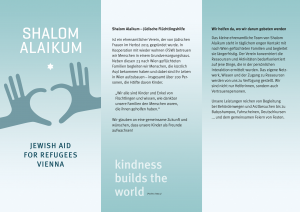 In autumn 2015 we started aiding refugees to Vienna. May our children grow up as friends. 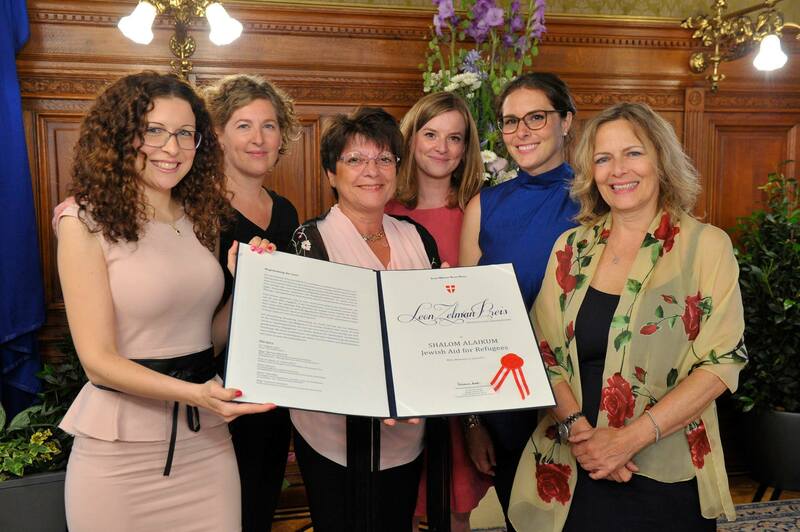 In June 2017 we were awarded with the „Leon Zelman Prize for Dialogue and Understanding“ by the Jewish Welcome Service. 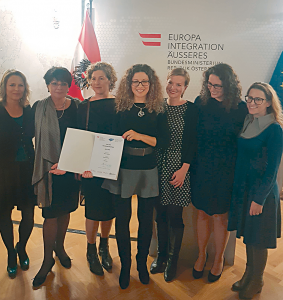 In October 2016 we proudly received the Recognition Award by the Austrian Federal Ministry for Europe, Integration and Foreign Affairs.